Steve received his Bachelor of Science degree in Law Enforcement & Security Administration from Northern Michigan University. From 1985 to 1998, he held the positions of District, Regional, Divisional, and Corporate Loss Prevention Director for several national retail companies. During his career in loss prevention, Steve conducted thousands of investigations into employee theft, vendor theft, cargo theft, organized shoplifting rings, and discrimination and sexual harassment allegations, just to name a few. He also has conducted over 8,000 integrity interviews, and it has been said that his work ethic and technical investigative skills are in the top 5% in the retail loss prevention industry. In 1995, Steve founded Asset Control Services, Inc. (ACS), and for the past 20 years, we have conducted over 28,000 investigations of insurance claims, Workers' Compensation, mortgage fraud, provider fraud, identity theft, and employee theft for insurance companies, self-insured, third-party administrators, law firms, corporations, and individuals. During this time, Steve has strived to remain a strong regional company that is quality-driven and results-oriented. ACS is licensed in Michigan, Ohio, Indiana, Wisconsin, and Kentucky. 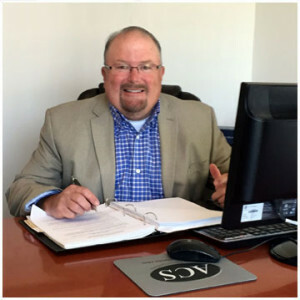 Over the last 12 years Steve has been on the board for the Michigan Council of Professional Investigators and currently holds the position of Vice President. Steve is married with two children.